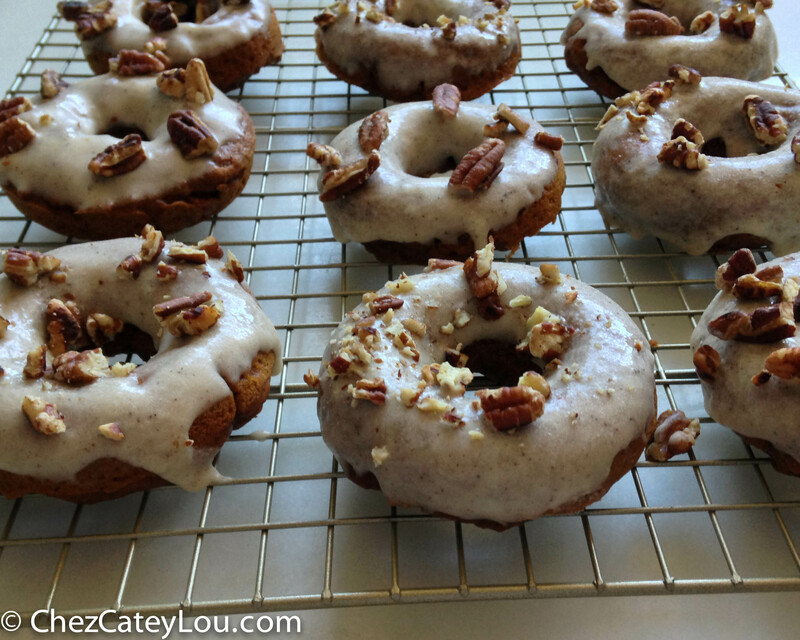 I have been dreaming about pumpkin doughnuts ever since I made these. They were SO good. But I always like to try out new recipes (and then share them with you! 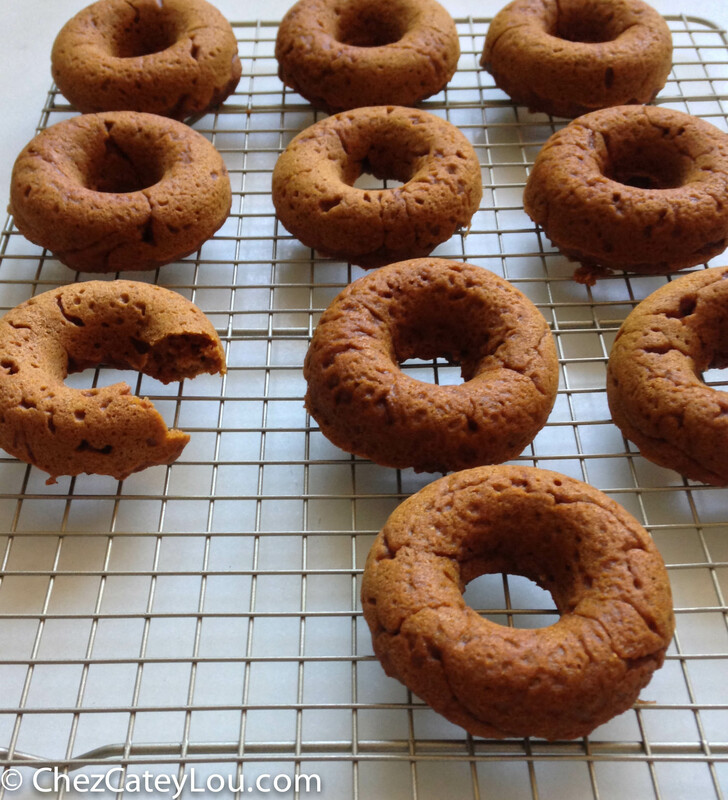 ), so I went on the hunt for a different pumpkin doughnut recipe. It didn’t take me long to find one. Pumpkin recipes have really exploded in the past month. Everywhere I look, there is pumpkin – Pinterest, food blogs, Instagram pix. But I am not complaining, I am also pumpkin obsessed! There is just something about the color and flavor that screams fall. 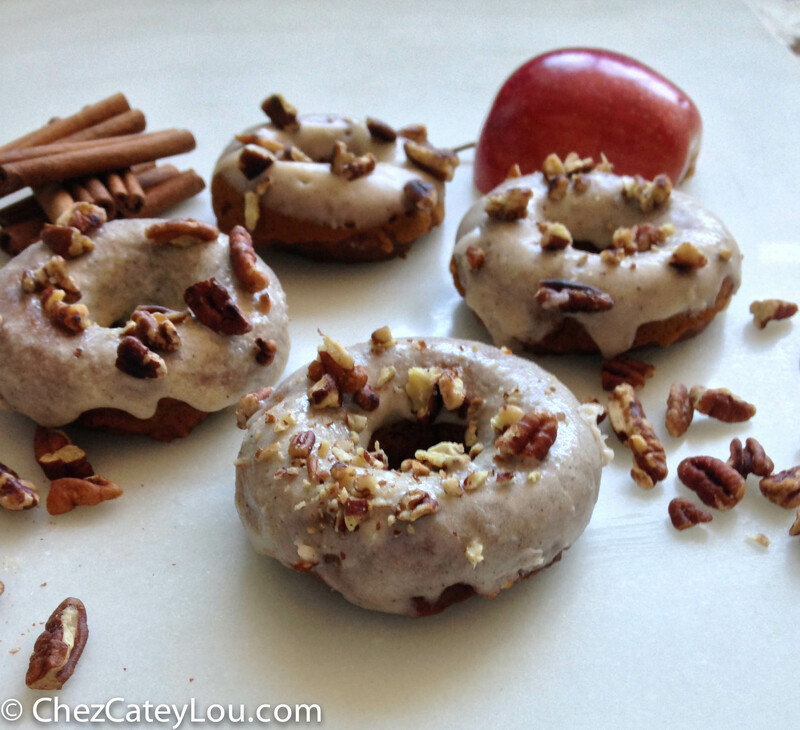 But back to these doughnuts – is the title long enough for you? 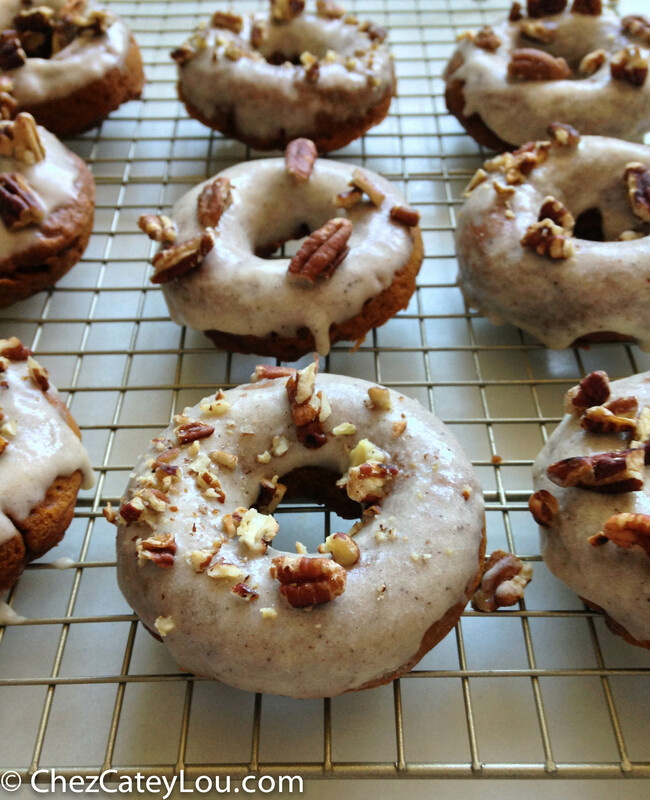 Baked Pumpkin Doughnuts with Pecan Brown Butter Icing. That is a mouthful! But I didn’t want to leave out any words, because each one represents something so delicious. First we have a baked pumpkin doughnut. I mean that alone would be delicious. They are so moist and full of cinnamon and pumpkin-y flavor. Then you introduce a brown butter icing. That makes anything better. Nutty, browned butter mixed with powdered sugar? Simple and delicious. And finally, top that all with toasted pecans. I’d say that is a pretty perfect doughnut. The flavors all work so well together. 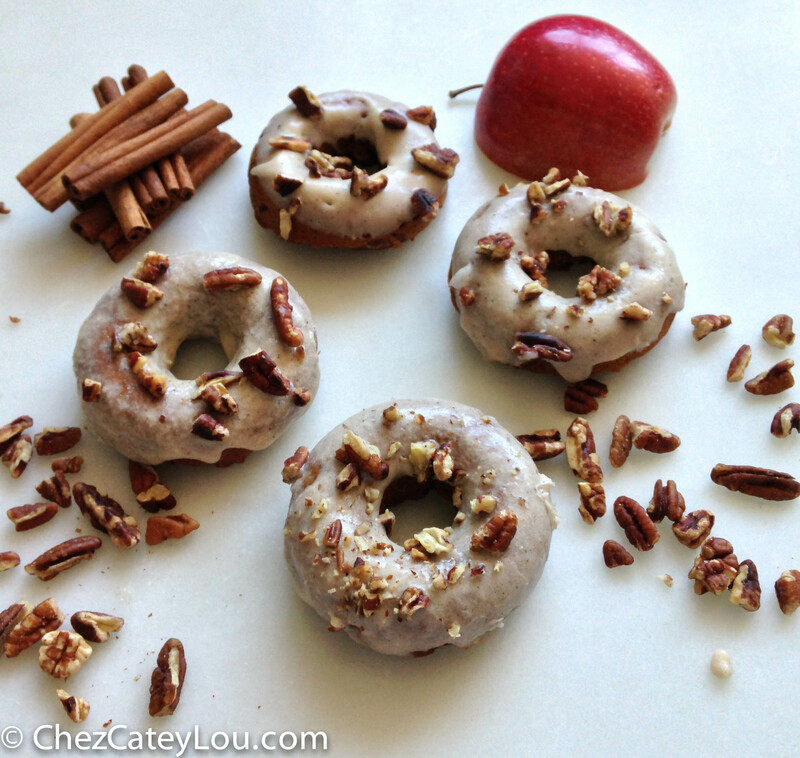 Now I still love the first pumpkin doughnuts I made, in all of their cinnamon sugar glory, but if you want to take it to the next level with your doughnut topping game, try this recipe! You will not be disappointed. Heat oven to 325 degrees F. Lightly grease a doughnut pan (if you have 2, then grease both of them). In a large bowl, whisk together flour, baking soda, cinnamon, pumpkin pie spice, and salt. In a separate bowl, beat together pumpkin, brown sugar, egg, oil, and vanilla. Add the wet ingredients to the dry ingredients, and mix until smooth and well combined. Using a small spoon, spoon the batter into the doughnut pan, until each doughnut is about ⅔ full. 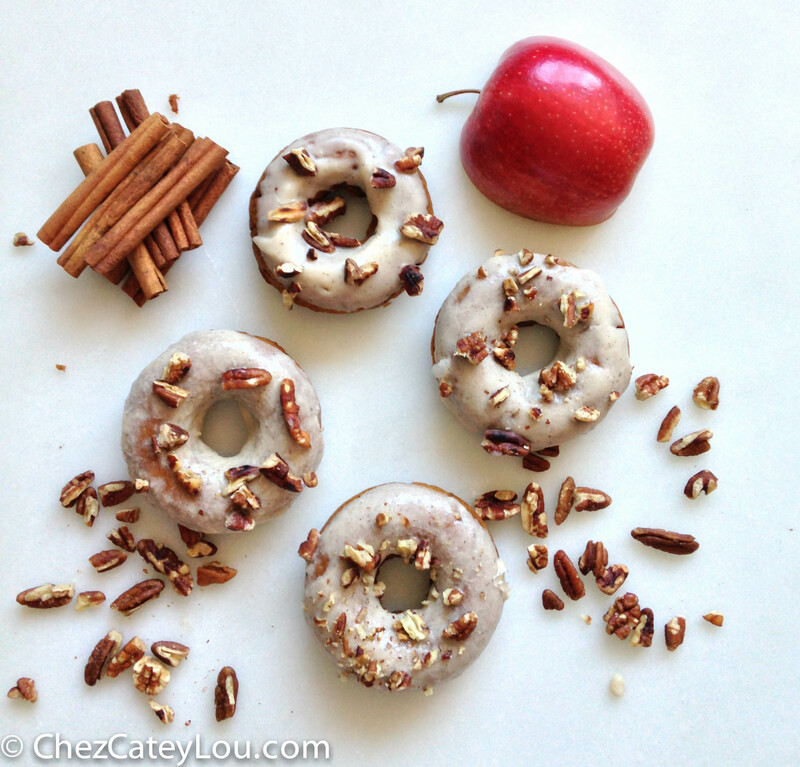 Mine made 10 doughnuts – if you only have one pan, you will have to bake in two batches. Bake for about 13 minutes. Cool in the pan for 3 minutes, then turn the doughnuts onto a rack to cool completely. In a small saucepan over medium heat, melt the butter. Once it melts, start slowly swirling the pan, until the butter is browned. It will smell nutty. Watch it closely so that it doesn’t burn. Sift the confectioners sugar into a bowl, and then add the browned butter to the sugar. Stir in the vanilla and 2 teaspoons milk. Keep adding milk until it reaches the consistency of a glaze. Dip the top of the cooled doughnuts into the glaze. Transfer back to the rack, and sprinkle with chopped pecans. Looks like it’s moist and delicious. I’ll definitely have a try ! They were so moist – a great texture! 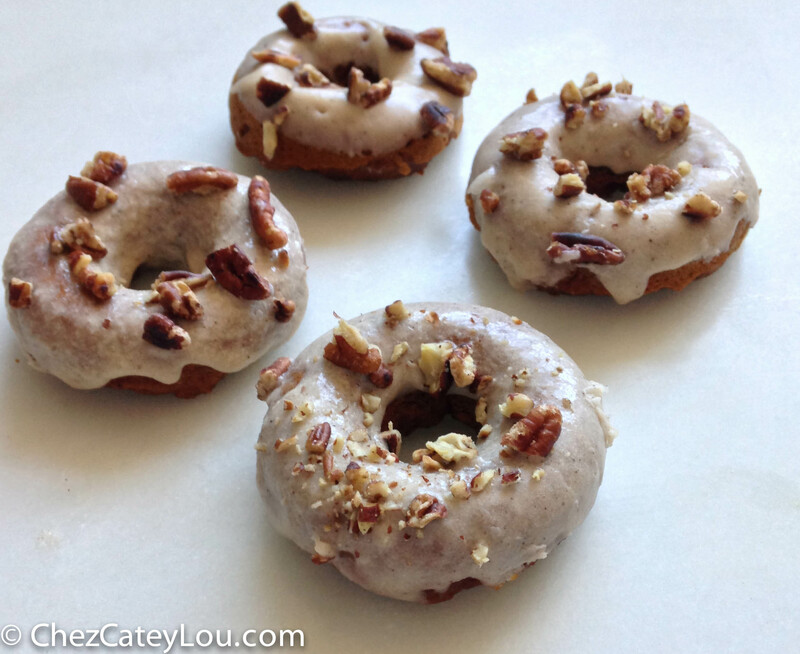 oooooo you won me with the icing pecan brown butter. This sounds super. These look amazing! 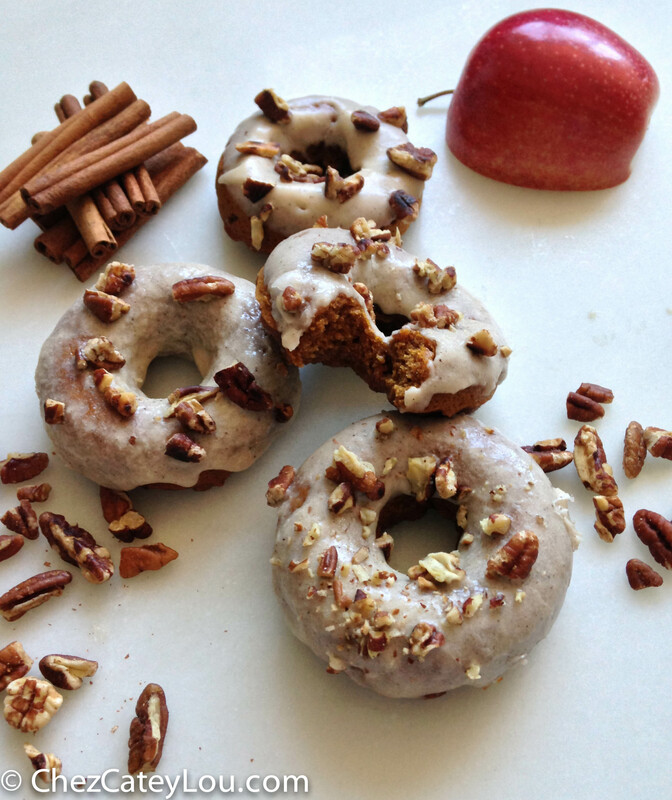 Pecan and pumpkin–the best fall flavors rolled into one! Thank you! I love pecan and pumpkin together!